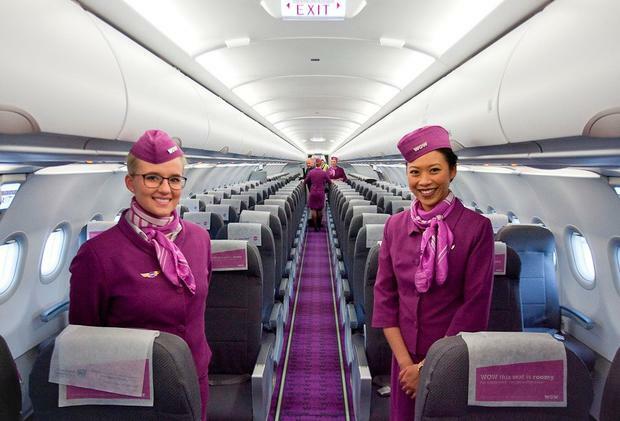 WOW air, the Icelandic low-cost carrier, is set to launch a new 'business class' as one of three tiered seating options. The airline, which offers a direct service from Dublin to Reykjavik and will begin flying from Cork this May, will roll out the options from June 1. 'WOW Basic' will include the airfare and one personal on board item - such as a laptop or handbag, measuring a maximum of 42x32x25cm. Passengers booking the basic fare, which is currently available from Dublin to Iceland from €48.99 (see below), then pay extra for add-ons ranging from checked baggage to additional legroom and cancellation protection. WOW's checked bag fees are among the most expensive in the industry, with 12kg carry-on bags starting from €16.99 and checked 20kg bags from €31.99 each-way for flights lasting less than four hours. 'WOW Plus', the new middle-tier fare, will allow passengers to bring a personal item and a 12kg cabin bag (56x45x25cm) on board, as well as checking in a bag and having the ability to cancel their flight with a refund. Sale fares from Dublin start at €99.37; from Cork at €105.34. 'WOW Biz' passengers can book larger seats, board the plane first, carry a personal item and 12kg carry-on bag, check a 20kg bag, enjoy an in-flight meal and avail of cancellation protection all as part of their fare. Sale fares start from €160.87 and €166.84 from Dublin and Cork. The 'Biz' product echoes Ryanair's 'Business Plus' fares, which offer priority boarding, fast track security passes, reserved seats and additional bags, although its planes do not offer separate cabins or seat types. By contrast WOW will offer a "new cabin" of "Big Seats" in the airline's fleet of Airbus A330 planes on long-haul and selected short-haul flights, with 37 inches of legroom (as opposed to 30 in 'WOW Basic') and a footrest. Business class-style seats will be available with XXL (35-37 inches) and XL (32-34 inches) seats on WOW's A320 and A321 planes. “We have worked hard to lower the prices of airfare to Iceland and across the Atlantic to give more people the opportunity to travel. 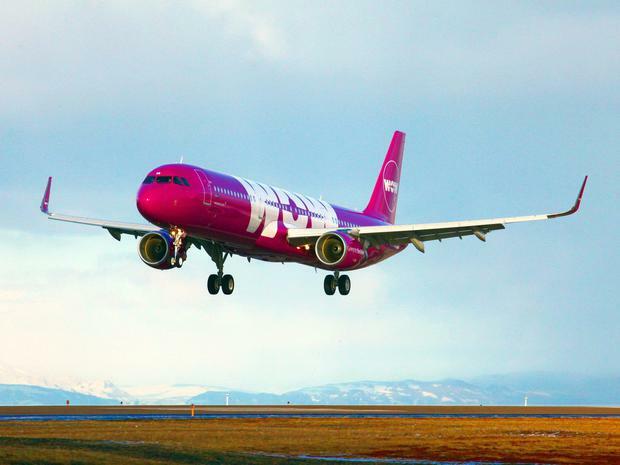 WOW air offers onward connections from Dublin and Cork to several North American routes, including New York, Miami and LA. Going to press, it is offering 30pc off its new tiered fares, with WOW Basic fares to Reykjavik from €48.99 (Dublin) and €54.99 (Cork). Customers can avail by using the promo code WOWSALE before midnight on Sunday, February 12. Travel is from February 10 to June 10. Independent.ie Newsdesk Thousands of tourists may soon have to pay as much as 10 dollars (€8.91) to drive down a world-famous crooked street in San Francisco. Pól Ó Conghaile Fancy getting off-grid next to the Atlantic Ocean? Pól Ó Conghaile A new window into the world of Westeros has appeared in Belfast, in the shape of a stained glass installation celebrating House Stark.